I happened upon Martin Weller’s blipfoto account a few weeks ago. I really enjoy his insights on all matters edtechie … and sport. blipfoto struck a chord with me thanks to Martin. I signed up for a free account and have upgraded it to full membership. So far I have managed 22 entries and have met a remarkable community of sharers. 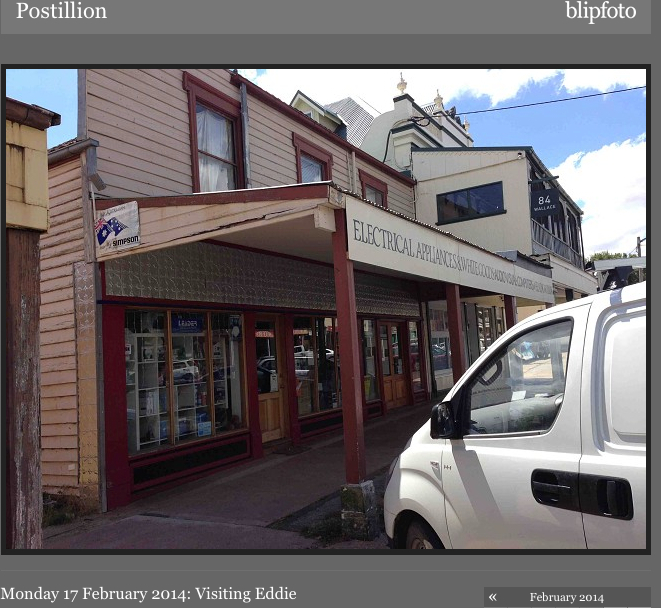 I hope the combination of ThingLink and blipfoto gives me a great way to explore thick visual description. I think blipfoto will become an important part of my personal learning and sharing environment … one day at a time. I am not sure where my football card collection from the 1950s and 1960s and my prized Football Monthly copies are. 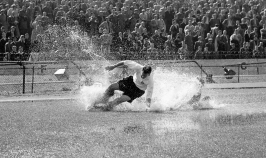 They contain a lot of images of Tom Finney. They were the foundations of my passion for football. 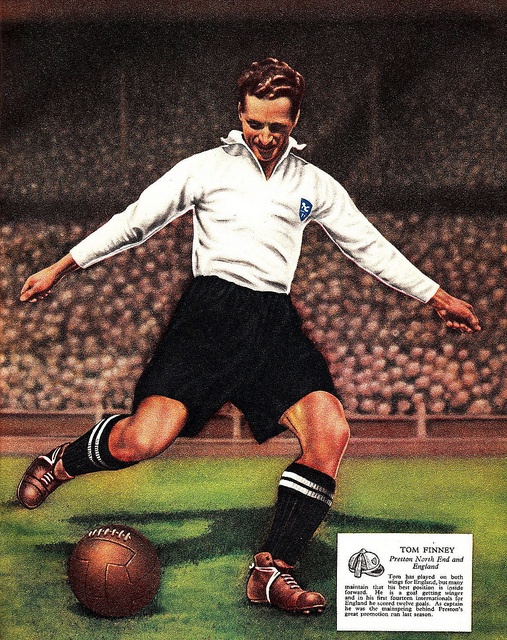 I loved the idea that Tom Finney was born near to the football ground of the club for whom he played all his professional life. A photograph of him carried me through every game of wet weather football I played. Whenever I attacked up a right wing, even in the late 1960s, I imagined I was him. I wonder how many other aspring Tom Finneys there have been. Marvellous that a boy from Deepdale could motivate a generation. It is the harmony of the different parts, their symmetry, and their happy adjustment; it is, in a word, all that introduces order, all that gives them unity, that enables us to obtain a clear comprehension of the whole as well as of the parts. I have very limited mathematical intelligence but I do appreciate elegance. I find it invaluable to have access to this kind of synthesis. I was thinking about Howard’s observation about statistical rigor (‘What I liked about the talks was that most of the presenters were serious about statistical rigor at some level. That’s not to say that there were proofs, but the researchers were open and precise about the processes they used to arrive at their results.’) when I came across Martin Eastwood’s Expected Goals For All post. Martin has been collecting xy co-cordinates for shot locations to investigate the relationship between ‘the probability of scoring a goal and how far away from the goal line the shot is taken from’. 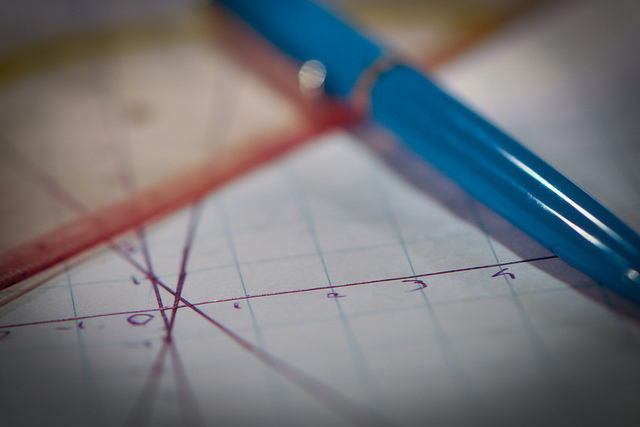 His post explores how to model this relationship. One option he shares is a Power function (‘We can do this pretty easily by taking the log of the data, fitting a linear regression against it and plotting this against our non-logged data’). Martin’s model overall gives ‘a root mean square error of 8.2 goals, which seems a pretty reasonable starting point for developing the model further’. I liked Martin’s willingness to share his thinking openly. Martin is a data scientist with a passion for football. I found his work thanks to a link from Simon Gleave. Every time I find new expressions of mathematical and statistical insight, I marvel at the biographical influences that enable people to apply disciplined approaches to data. By coincidence, as I was concluding this post, I received a link to Lisa Harvey’s paper, Statistical power calculations reflect our love affair with P-values and hypothesis testing: time for a fundamental change. Lisa’s paper reminded me about Will Hopkins work and his conference summaries. Thanks to Semir Zeki and his colleagues, I now have an insight into my aesthetic sense of data and analysis. I marvel that each day I have opportunities to exercise this sense. My hope is that a fascination with elegance, simplicity and beauty will help me develop my ‘less is more’ interests in observation and analysis.